Our team expands our outreach beyond the classroom and into New Jersey. 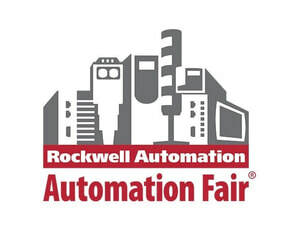 In 2018, Team 203 was personally asked by FIRST to attend the Rockwell Automation Fair in Philadelphia, Pennsylvania. At this event, our team members spoke to Rockwell employees and STEAM enthusiasts about the current FRC game and explained to them what it is like to be a part of FIRST Robotics. Additionally, our members were given the opportunity to be emerged in the latest technology being implemented into factories and companies and informed of internships and scholarships that they can take advantage of. Out of the FIRST Robotics Mid-Atlantic region, our team was one of the six chosen teams to participate in the fair. Our Team Captain Victoria was invited to be interviewed about being a female on FIRST Robotics team. To watch the live stream of the interview, click here. Team 203 was invited to the NJSBA (New Jersey School Board Association) Conference during the fall of 2015 and continues to be an ideal representation of FIRST at the annual event. Being part of the iSTEAM section gave us the opportunity to spread the message of our team, school, and the world of FIRST Robotics. At this conference, our team splits our juniors and seniors over the span of the three day event and talk to school board members and administrators from all over New Jersey, informing them about how the program works and what it is like being a member on a FIRST team. Starting in 2017, Team 203 began giving annual presentations to middle school students at Lockheed Martin in Moorestown, NJ during Engineers Week. We demonstrate our prototype robot, inspiring students to take part in STEAM and FIRST Robotics. From this experience, our team was able to create a partnership with Lockheed Martin and become one of their sponsored FRC teams able to influence and demonstrate what FIRST Robotics is all about. In 2018, ​Team 203 was personally asked by FIRST to speak to State Senators and Assembly Members at the NJ State House and advocate for FIRST Robotics to be recognized as a Career and Technical Student Organization (CTSO) so schools can gain the proper funding they need from tax papers and make robotics accessible to all students throughout the State.